Hello Fuji friends! I’ve been working on buying gifts for everyone on our gift list and struggling with a few. Aren’t there always a handful of people that are always hard to buy for? I figured that you might be having the same issue with a few people in your life, so I thought I would share a list of some of my favorite things right now that would make fantastic last-minute gifts. 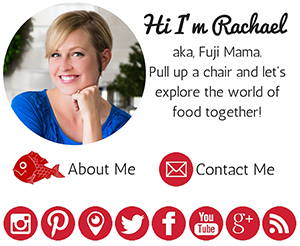 Spice Madam is a Texas-based, woman-owned spice-subscription box company. Every box takes customers on a culinary journey to a new destination every month, which is a fun way to have the travel experience each time the box arrives! For $20 a month, customers will receive a culinary adventure subscription box filled with spices, recipes and a Spotify music playlist from a different destination every month, as well as fun facts and travel tips from the destination country. Each box comes with a menu plan and a shopping list to help with planning. This helps busy customers save time on trying out cuisines from other countries, searching for the spices, looking up recipes & finding a way to tie it all together. You can gift 1, 3, 6, or 12 month subscriptions. Another thing I love about giving this as a gift is that every box sold supports a non-profit that impacts youth education and Spice Madam hires refugees to give them opportunities to work. We got a sample box that featured France and loved the diverse recipes included, the fresh fragrant spices, and the fun facts. (Did you know that the French army is the only army in Europe that still has carrier pigeons within its ranks? I do now!) We are gifting a box to someone for Christmas this year and I can’t wait to find out what country is featured in the box they get! I’ve had a lot of cookbooks cross my desk this year. These are my favorites! Hot For Food Vegan Comfort Classics, by Lauren Toyota: I love this book. It’s full of classics re-imagined and veganized and all of the recipes work. Not only do they work, but they are delicious. Farm to Table Asian Secrets, by Patricia Tanumiharja: This is another cookbook where all of the recipes work and are full of flavor. If you know someone who loves Asian food, this is perfect! It features vegan and vegetarian versions of favorites from a variety of Asian countries. 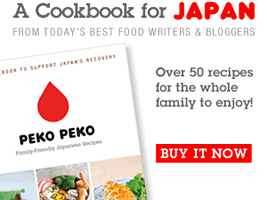 My favorite peanut sauce recipe is in this book. The Wicked Healthy Cookbook, by Chad & Derek Sarno: If you know someone who might want to get creative with vegan cooking, this cookbook is for them. The different ways they use mushrooms in the book are worth having it! Pasta, Pretty Please, by Linda Miller Nicholson: If you know someone who enjoys making things from scratch, or who loves Italian food, this book is a must! Linda is a pasta master and teaches you how to create your own edible pasta art in this book. Oh! 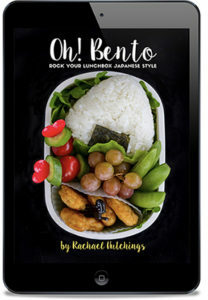 Bento: Rock Your Lunchbox Japanese Style, by Rachael Hutchings: I couldn’t share my favorites without including my e-book…sorry, I’m unabashedly biased. If you know someone who packs lunches, either for themselves, a spouse, or their kids, this is the book for them! This e-book will help get you started trying out the bento way of packing a lunch by giving you basic information, a system to get you started on your own “bentoing” path, and help you find what works for you and your family. I have been a Zojirushi rice cooker devotee since long before I ever started writing about food. I’ve owned several different models over the years and have loved each one. The one I currently own is now over 8 years old and still going strong. They are extremely well made and put American made rice cookers to shame. If you’ve never used a Zojirushi before, you have never experienced what a rice cooker can really do. Since there are so many options, I thought I would give you an option at 3 different price points. Zojirushi Induction Heating Pressure Rice Cooker: This is the King of rice cookers. It comes with a 5.5 cup or 10 cup cooking capacity. 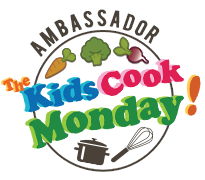 The cooker uses a combination of induction heating and pressure cooking to produce the best texture of cooked rice. It has different settings for different types of rice. Not only will you have absolutely perfect rice every time, but the cooker will also keep the rice warm for you for 24 hours after it finishes cooking, and when I say it keeps it warm, I mean it keeps it tasting fresh, like it just finished cooking! Zojirushi NS-YAC10 Umami Micom Rice Cooker: This rice cooker falls in the middle price range for Zojirushi and also comes with a 5.5 cup or 10 cup cooking capacity. This cooker uses “fuzzy logic”—microcomputer technology, where the microchip does all of the thinking for you, as far as adjusting cooking times and temperatures according to the type of rice you are cooking, and timing the pre-soaking of the raw grains ad the final ‘wait’ period during steaming. Zojirushi NS-TSC10: This cooker is in the low-end price range for Zojirushi and comes with a 5.5 cup or 10 cup cooking capacity, like the others. This cooker also uses “fuzzy logic” technology, but comes with a few less bells and whistles than the others. Just because it comes with less bells and whistles, however, says nothing about the quality. This cooker would still run circles around other rice cookers and it’s currently a steal on Amazon, on sale for over $50 less than its normal price. 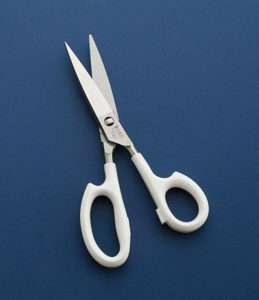 My Cutco Super Shears are one of my favorite possessions. They are practically indestructible, cut through anything, easy to use, and easy to wash. I use them every day, multiple times a day. Know someone who loves to cook but has rotten knives? I definitely know a few! In fact a few of them are getting this knife. 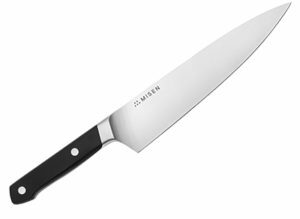 The Misen Chef’s Knife is a fantastic knife for an even better price. Most high-end chef’s knives that are worth their salt are over $100. This one is $65, plus they have a discount code for first time customers! I personally own this knife and it’s one of the knives I use the most. This 6 QT Power Air Fryer Oven is so much fun to use. It is actually much more than an air fryer, though the air fryer component is one of my favorite uses. The oven is actually multiple appliances in one: an airy fryer, dehydrator, and rotisserie. It opens up like an oven and has 5 different racks that slide in an out, unlike the traditional air fryer that is equipped with a single basket. It can even cook a 9-inch pizza! If someone you know loves miso soup and loves to cook, this whisk is for them! Although you can use it for other things, I purchased mine specifically for making miso. Each size can measure out a specific amount of miso paste. The small ball end scoops 1 tablespoon and the larger end scoops 2 tablespoons. All you have to do is put the whisk into the miso, turn it around, then pull it out and then specified amount of miso will be inside the ball of the whisk. Then all you have to do is put the whisk end with the miso in it directly into your broth and whisk it around until the miso has dissolved! I hope that helps with any last little bits of shopping you have left! Previous post: New York! New York!